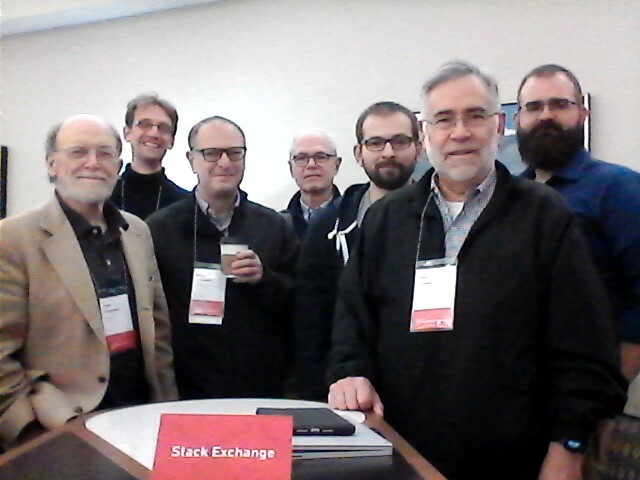 Meet at Wolfram Technology Conference? 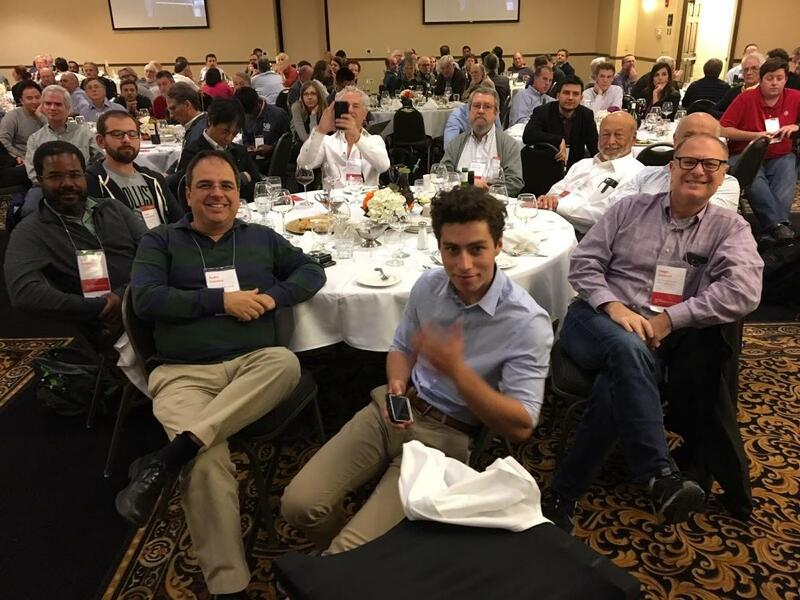 I am curious who all is currently attending the Wolfram Technology Conference in Champaign. Would love to put a face with a name for the people I have learned from on SE. Perhaps a meet up? Or feel free to come introduce yourself. From left to right @Edmund, @Kuba, @PFonseca and @Zviovich. The young lad in the middle got the second prize in the one-liner competition, prodded by Pedro and Diego. @Zviovich, @P.Fonseca, @JasonB, @Kuba at the Big Grove Tavern. And of course, the traditional picture (with @Antonov in the back row. Sorry for the grainy picture, it is just from the webcam on my computer. A list of often-used packages on meta? Can we do something to suppress Tom Sawyers? Where is the proper place to start a discussion on additional Mma functionalities we want? Best way to publicize packages / paclets? How do we get more people to use paclets and paclet servers?